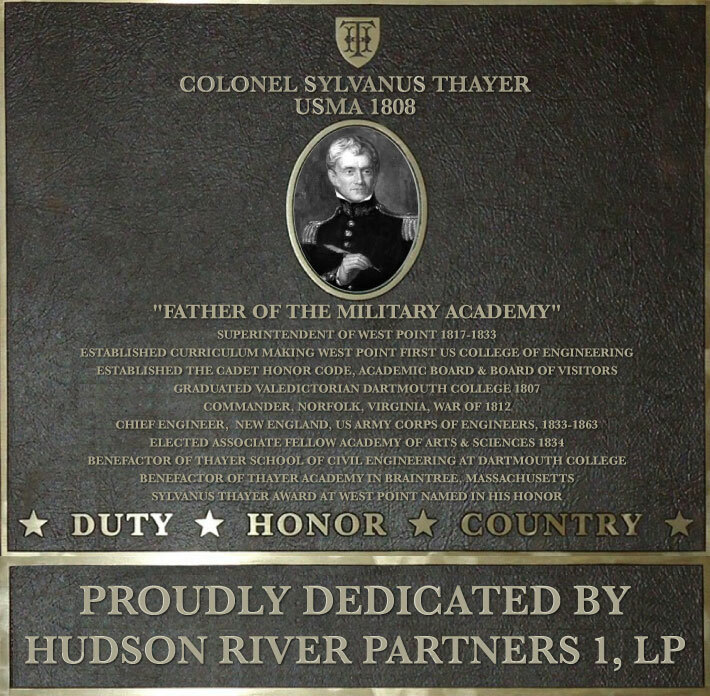 The impact that Sylvanus Thayer has had on the Military Academy and on the United States cannot be overstated. He is renowned for having resurrected the US Military Academy at a time when its future was in doubt and set it on a positive trajectory for future centuries. The Military Academy that he built during his time as Superintendent created many of the leaders who led our national expansion, led our nation in wars, and created many of the higher education systems in the United States. He arrived at an Academy in 1807 that was very unstructured. Cadets could graduate quickly or remain as cadets for years. Sylvanus Thayer quickly impressed his instructors and graduated one year later in 1808 as the 33rd graduate from the US Military Academy. He was commissioned in the Corps of Engineers. He stayed on shortly as a Math professor and then his skills as an engineer were needed elsewhere. He went on short term assignments designing installations around the Northeast. In the War of 1812 he commanded the defense of Norfolk, VA and built the installations to defend the port. He was promoted to Major and in 1815 sent to Europe to study at École Polytechnique and to tour Europe to study military art, history and collect books and maps. Major Thayer returned to the United States in 1817 and was made the 5th Superintendent of the United States Military Academy by President James Monroe. He reformed the curriculum that made West Point into the first College of Engineering in the United States. He implemented the Cadet Honor Code, the Board of Visitors, and the Academic Board. He served as Superintendent for 16 years. Many of the 711 cadets trained at the Academy during those years went on to found or staff many of America’s institutions of higher learning. He resigned as Superintendent in 1833 due to a conflict with President Andrew Jackson and he returned to the regular army where he served a Chief Engineer in Boston until 1863. By 1860 seventy-eight of his former cadets were on the faculty of America’s 203 colleges. He retired in 1863 due to health reasons. In 1864 President Abraham Lincoln promoted him a Brevet Brigadier General. The honors bestowed upon Colonel Sylvanus Thayer are many- both at West Point and elsewhere. At West Point he is called “The Father of the Military Academy” and his statue stands alone on the Plain by the Superintendent’s house overlooking the parade field. The largest cadet academic building is named Thayer Hall. Colonel Thayer originally built the West Point Hotel in 1829 on Trophy Point when he was Superintendent. That wooden structure was replaced in 1926 when a granite and brick hotel was built near the Highland Falls gate and named the Thayer Hotel. The gate in front of the Thayer Hotel was also renamed Thayer Gate. The college of engineering at Dartmouth College was named Thayer College of Engineering. The Academy in Braintree, Massachusetts that he bequeathed $300,000 in his will is named Thayer Academy. In 1958 West Point named its most distinguished award the Sylvanus Thayer Award and recipients include Henry Kissinger, General MacArthur, President Reagan, Walter Cronkite and other American leaders. Sylvanus Thayer’s impact on the Military Academy and on the Army cannot be overestimated. His legacy remains in the character of every graduate who receives the West Point diploma and enters our Army to lead our soldiers in war.